Fairies are very real and loving beings who want to help us live joyful, prosperous, and healthy lives. In this enlightening book, Doreen Virtue clearly explains who the fairies are, how they’re helping us, and ways to connect with their magical energy. 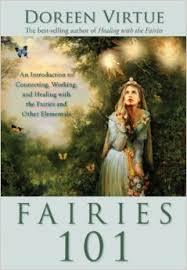 True stories from people who’ve encountered fairies and benefited from their assistance illustrate Doreen’s teachings. You’ll learn how fairies aid people in finding lost objects, heal themselves and their pets, make gardens grow miraculously fast, and help clean the environment. You’ll also see photos of a real fairy handprint, and other visual evidence that demonstrates that fairies are very real indeed.